Other than pesky colds and the occasional flu (damn you, back to school germs! ), my kids are fairly healthy, and for this, I am extremely thankful. But my heart forever goes out to the children and parents who are not so fortunate which is why, for the third year running, I’ll be participating in the Extra Life gaming marathon on October 25, 2014. Extra Life came together to honour a young woman named Tori Enmon, whose battle with acute lymphoblastic leukemia inspired the Sarcastic Gamer Community to send Tori games and gifts to help keep her spirits up. Sadly, Tori lost her battle in January of 2008, but her friend and Extra Life founder Jeromy Adams ensures that her legacy lives on through this event. In its first two years, the 24-hour video game marathon raised $302,000; all of which went directly to the Texas Children’s Hospital that treated Tori. The campaign has since expanded to encompass all hospitals within the Children’s Miracle Network. The event continues to garner attention, picking up more and more participants, as well as major industry sponsors, such as Playstation. Some companies get involved by directly funding the event with rewards for participants, while others form online communities to participate as a team. Gamers can choose to join such teams, start their own, or go it alone. Last year, the Extra Life site suffered a horrendous DDoS attack, preventing the acceptance of donations for hours on end. But true to form, we gamers don’t give up that easy, going on to defy the [expletive expletive expletive]s who would dare try to derail an event meant to bring smiles to the faces of children in need. Extra Life raised an astounding $4 million dollars in the face of such adversity, has raised over $8 million since its inception, and has already raised over $1 million this year with weeks still to go! Donations are tax-deductible and all proceeds go directly to helping sick children at Children’s Miracle Network Hospitals in North America. 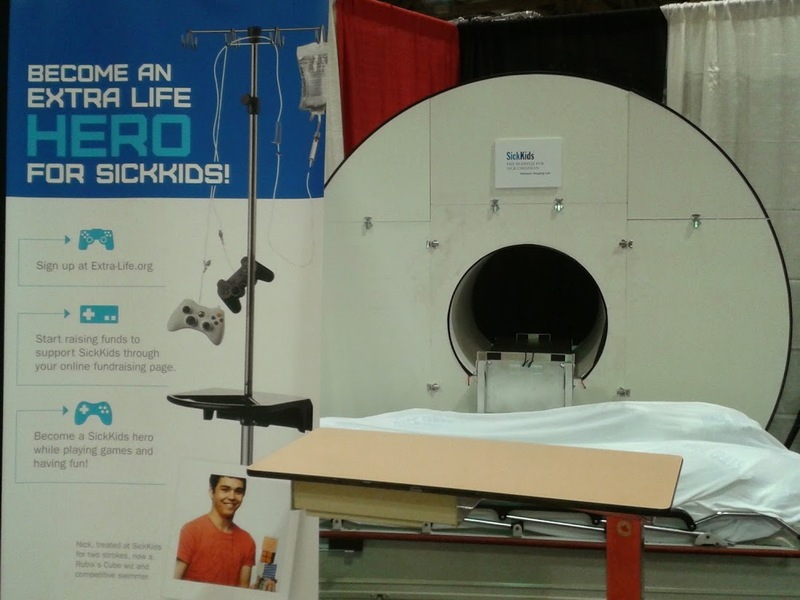 My charity of choice is Sick Kids Foundation, which was recently exhibiting at Fan Expo Canada (above) to promote the event and call more gamers to arms. Many of my friends and family are with me today because of this hospital. 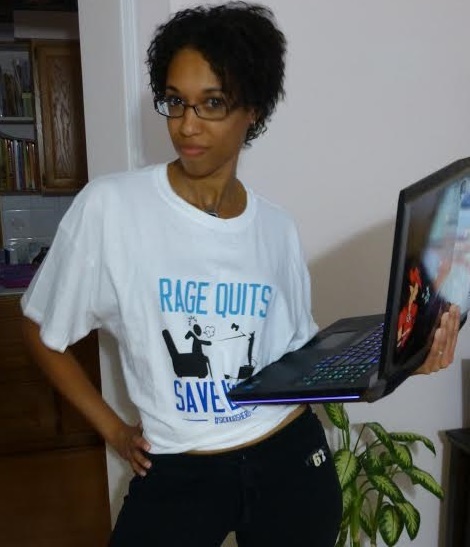 Their motto, which is plastered on the front of the shirt I will proudly be sporting for the marathon reads “Rage Quits Save Lives” and invites everyone to become a #SickKidsHero. For me, participation in Extra Life is a no brainer. I’m a gamer, and I’m a mother. As far as I’m concerned, that leaves me no excuse when it comes to supporting a cause that I believe in so strongly. While I hope not to rage quit any of the games I’ll be playing that weekend, there might be some amount of yelling at my laptop. 24 hours is a lot of gaming, but it’s a great opportunity to get through my Steam wall of shame, which currently sits at 146 games, of which I have played approximately…. well, let’s not bother with the math. I usually try to plan ahead. A few hours will be dedicated to gaming with friends, joining my buddies in something multiplayer such as Star Wars: The Old Republic, Guild Wars 2, or the new ArcheAge. I recently discovered a book I’ve just read, I Have No Mouth But I Must Scream, has a video game version. Considering the somewhat trippy nature of the book, I shall save that for the wee hours of the morning when I can best appreciate it. There will be several other games in between, I’m sure, and you can follow my progress on my Raptr profile. With copious amounts of wine and Red Bull in hand, I will be ready to face anything.